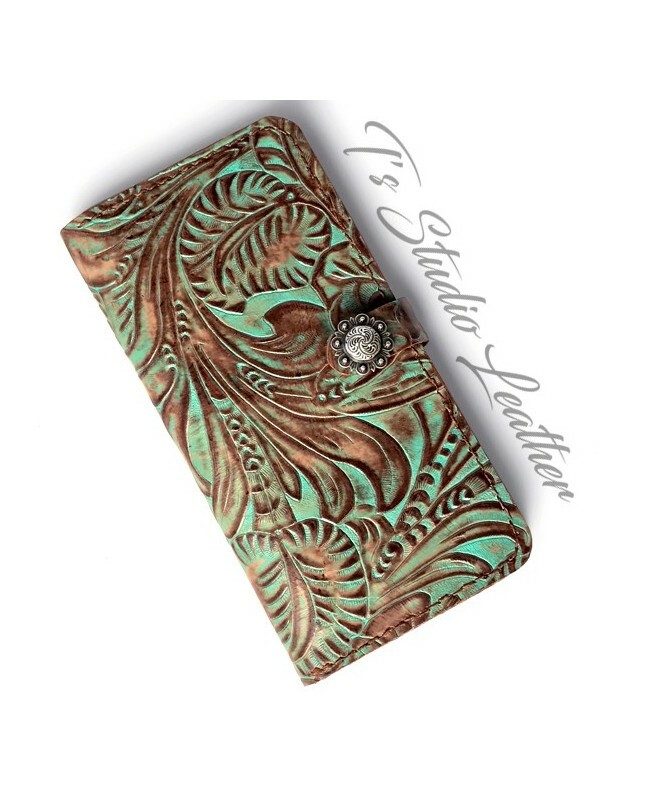 Genuine cowhide leather phone case, embossed in a floral tooled pattern in turquoise and brown. Finished with a beautiful western style concho snap closure. The interior is a wallet style, with 2 slots for cards, and an open pocket for cash. Available in several colors, and can be made to fit most phones. Please leave a note upon checkout with your phone make and version. *** NOTE - This item is made to order. Please let me know if you need it by a specific date. Each phone case is personally made and handstitched. I am happy to accept custom orders. If you see something on my website, but would like a personal design or color, please contact me for a custom order quote.